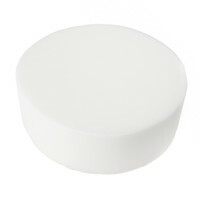 Create a charming tuffet using this Pieced 18" Tuffet with Foundation and Guide. 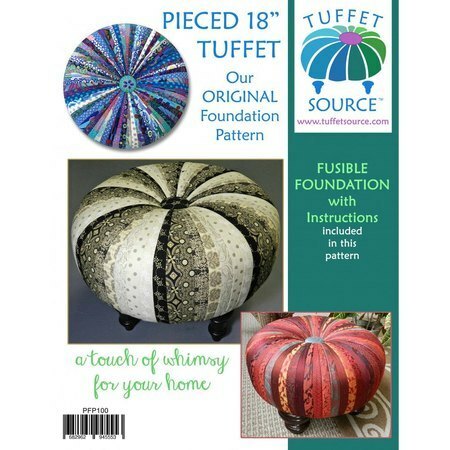 Designed by Sharyn Cole, the Pieced 18" Tuffet with Foundation and Guide includes a detailed construction diagram (8-page instruction booklet), color photos of each phase, tips for success, and a detailed supply list. The exclusive printed fusible interfacing is a full-size panel image of cut lines and sewing lines printed on fusible interfacing. Included are two interfacing panels each containing four foundation patterns which are needed to complete the Pieced 18" Tuffet with Foundation and Guide.